Jeff Laskowski is OESA’s senior manager of communications. He is responsible for all association communications including event marketing, media relations, social media and website. He leads the Automotive Public Relations Council and supports the Communications Executives Council, and Tooling Council . Prior to joining OESA in 2007, Laskowski held a variety of marketing and communication roles at The Leukemia & Lymphoma Society, AAA Michigan, Pepsi and WDVD-FM, Detroit. 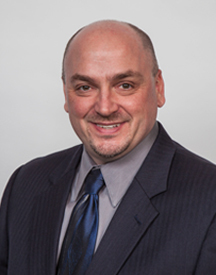 Laskowski is a member of the Automotive Press Association (APA), Public Relations Society of America-Detroit Chapter (PRSA) and Marketing and Sales Executives of Detroit (MSED) where he serves on the board of directors and is chair of the marketing committee. He holds a Bachelor of Applied Arts in Broadcasting and Cinematic Arts from Central Michigan University in Mt. Pleasant, Mich., and a Master of Arts in Public Relations from Michigan State University in East Lansing, Mich.